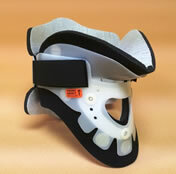 The Phoenix™ Collar is an innovative cervical collar with high-quality materials that provided an unparalleled combination of immobilization and patient comfort. The unique trachea opening allows healthcare professionals the ability to quickly perform carotid pulse monitoring and emergency tracheotomies while providing cervical immobilization. 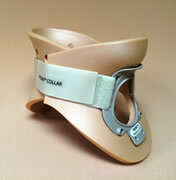 The Memphis® Collar is an innovative cervical collar with high-quality materials that provided an unparalleled combination of immobilization and patient comfort. Removable pads wick away moisture to ensure the patient is clean and comfortable while preventing skin irritation. 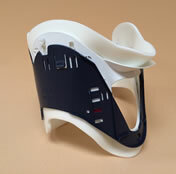 The Austin® Collar is an innovative cervical collar with high-quality materials that provided an unparalleled combination of immobilization and patient comfort. Removable pads wick away moisture to ensure the patient is clean and comfortable while preventing skin irritation. The Universal Austin® Collar is an innovative cervical collar with high-quality materials that provided an unparalleled combination of immobilization and patient comfort. Multi-Height Adjustment fits almost all Adults ( 4 positions). Removable pads wick away moisture to ensure the patient is clean and comfortable while preventing skin irritation. The EMT One-Piece Collar is completely injected molded from high-density polyethylene with foam padding and features our patented chin support. Our one-piece design is essentially flat, storage is efficiently managed where space is limited. 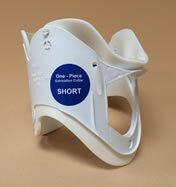 Color-coded labels and Velcro fasteners ensure easy recognition of sizes. 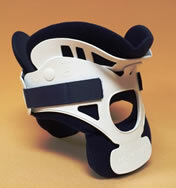 Either in a supine or seated position, application is quick and easy. The EMT SELECT Collar is completely injected molded from high-density polyethylene with foam padding and features our patented chin support. 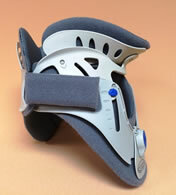 Multi-Height Adjustment fits almost all Adults ( 4 positions) and Pediatrics (3 positions). One-piece design enables efficient storage where space is limited.